A man called Maurice de sully started construction in 1163 , The Cathedral was supposed to be build in the new Gothic style which was achieved , But had to modify that Paris was the capital of France which many people didnet understand, The notre dame has always been the religious centre and a prototype for many other future cathedrals to work off .It took until 1345 to finish the notre Dame kinda because the design was enlarged during construction. The result is an amazing old building building, 128m long with two 69 meter tall towers . The spire, which reaches 90m , was added in the 19th century . 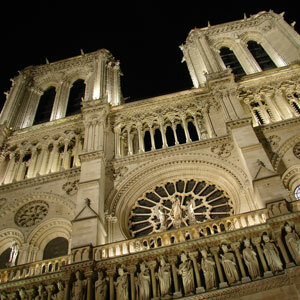 The Notre-Dame has several large Beautiful windows, the northern 13th century window is the most impressive. work was removed or demolished. every year the notre dame gets payed millions of visits!! in 2006 it was recorded that it god 13.7million which works out to be around 35 thousand people a day!! 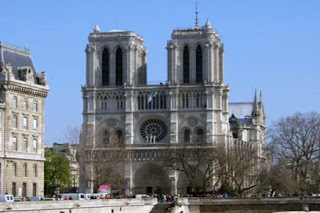 !This is the most visited French and possibly European monument.